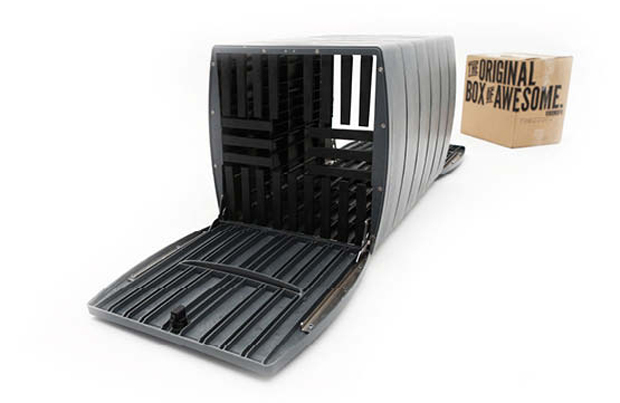 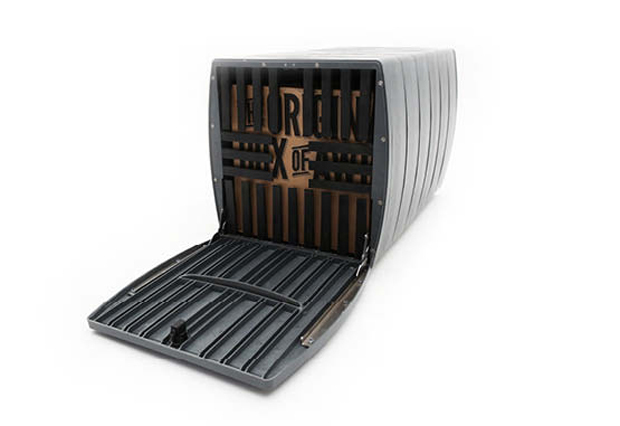 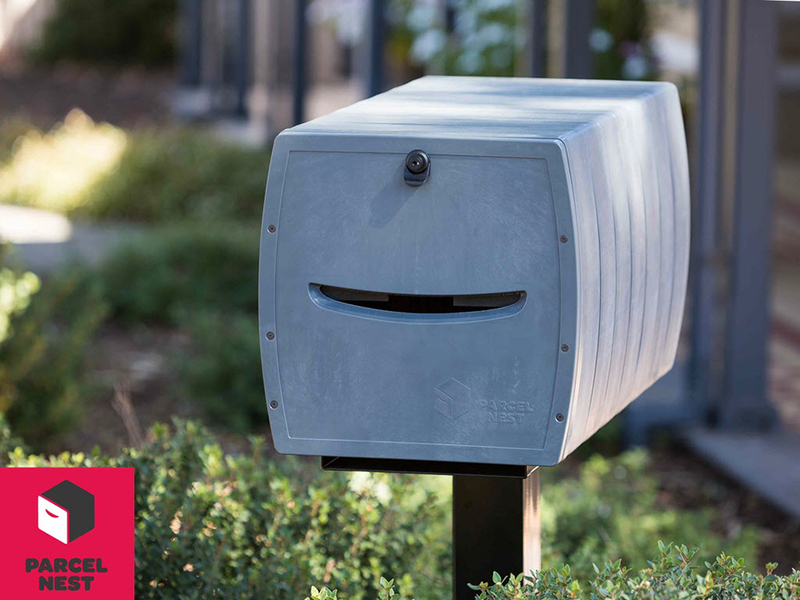 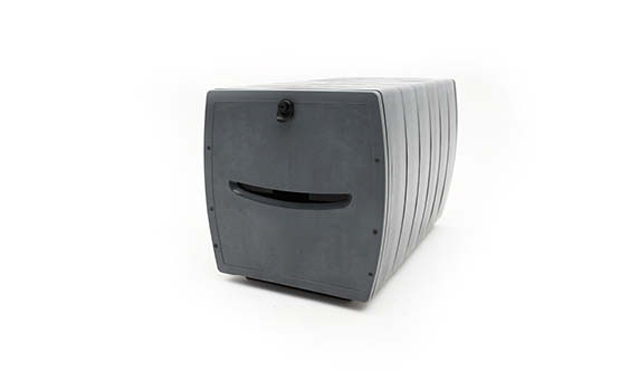 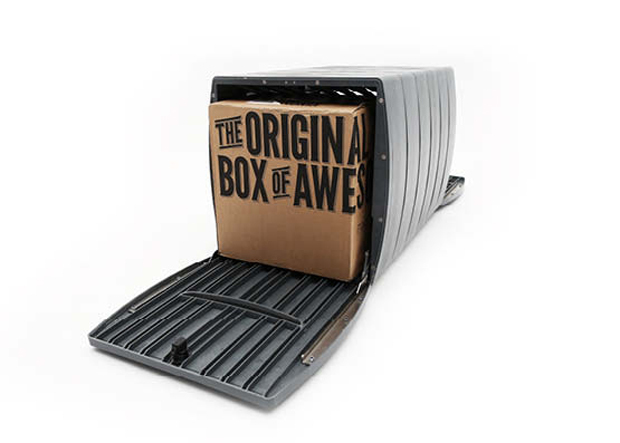 A spacious delivery box that keeps mail and packages safe via its one-way gate. 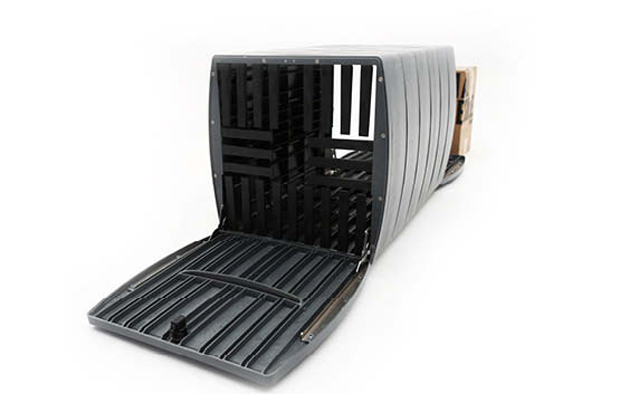 The opening is surrounded by plastic fingers, so objects can be put inside but can only be taken out from the rear door. 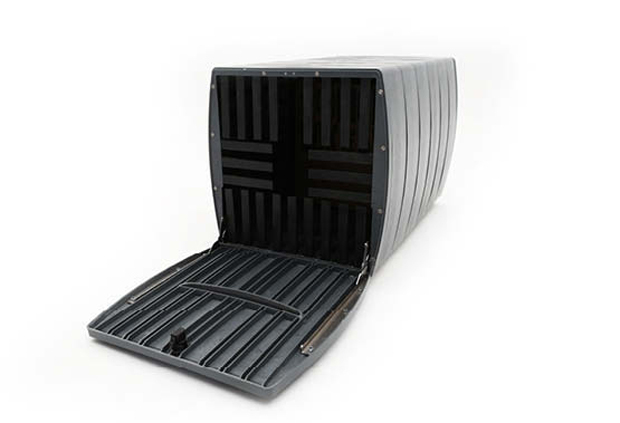 Measures 31″x 16″x 16″.